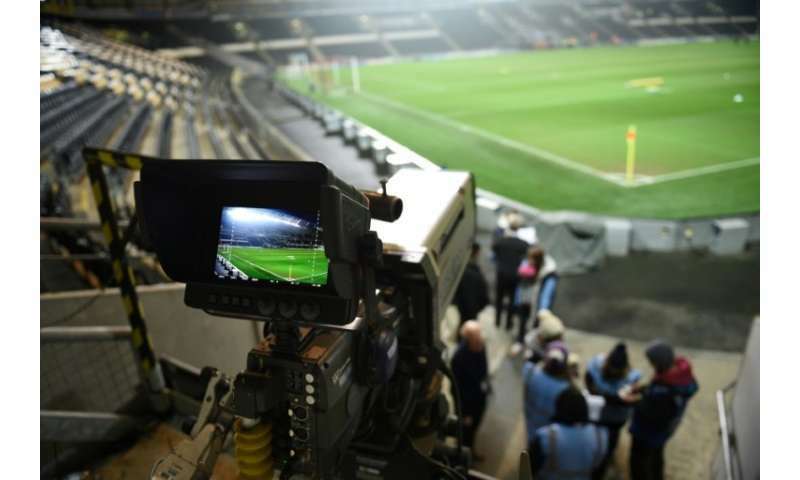 The Premier League launches its latest auction of domestic live broadcast rights on Friday but football finance experts say global tech giants such as Amazon and Facebook are not yet ready to enter the fray. Bids for 200 games a season, between 2019 and 2022, must be in between 0800 GMT and 1000 GMT and if any are left unsold there will be further rounds of bidding next week, with a result expected on Tuesday. The 200 games, up from 168 games a season under the current three-year deal, are broken up into seven packages, designed to appeal to different buyers. Sky and BT paid more than £5 billion for the rights in 2016-19, matching the 70 per cent uplift recorded for the previous cycle and are expected to take the lion's share of the games in the new deal. But the chance of another huge hike in domestic broadcast revenue appears unlikely because the two companies did a deal in December to sell their channels on each other's platforms. In a bid to draw other players into the market, the Premier League is offering 32 extra games a season and experimenting with new slots and offerings. One of the new packages offers 24 games at 2:00 pm on Sundays and eight games at 7.45 pm on Saturdays. There are two packages that offer two entire rounds of games, simultaneously, on midweek evenings and a bank holiday. BT is understood to be interested in the "simulcast" idea, which is also designed to draw in one or more digital hosts such as Amazon, Facebook, Google or Netflix. None of those companies have confirmed or denied if they are interested in the Premier League's UK rights but there is increasing speculation they will become major players in the battle for premium international sports content. Kieran Maguire, a football finance expert at the University of Liverpool, told Britain's Press Association that he does not believe the tech giants are yet ready to enter the market. "That is just the Premier League talking up auction prices," said Maguire. "It makes no sense for them to bid domestically as the UK is insignificant when looking at global strategy. There is some potential in overseas markets but there is still an issue of monetising subscribers—even Netflix hasn't quite managed that yet." Roger Bell of the financial analysis firm Vysyble agreed with Maguire and said the domestic market appeared to have "reached maturity". "Sky's economic performance has been challenged by the gravity of the current deal. With a more open relationship between Sky and BT we don't expect to see the previous hikes of 70 per cent." However, the expected slowdown domestically does not signal the end of bumper pay days for the Premier League, with deals with Chinese and US broadcasters showing a significant uplift in recent years. Manchester United executive vice chairman Ed Woodward was optimistic about the potential for international growth in his quarterly call on Thursday to announce the club's financial results. "A word on broadcasting, reports of the death of live sport are greatly exaggerated," said Woodward. "I just came from a Premier League meeting, where research shows that the league's global cumulative audience has increased nine per cent year-by-year, with particularly strong increases in Asia and North America."